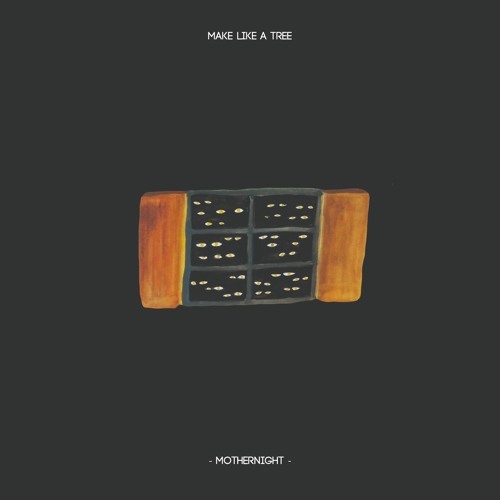 "Mothernight” is a third album created by Make Like a Tree. It's a 10 track indie-ambient folk album that is a quintessention of 3 year world journey around the world. Every song is a collaboration with a new artist who Sergey has met and involved into Make Like a Tree project during his wanderings around Japan, Kenya, Tanzania, Russia, Ukraine, Austria, Italy, Norway, Catalonia, Armenia. The name of the album is inspired by the eponymous novel of Kurt Vonnegut that describes a perfect example of “citizen of nowhere”. The name refers to the idea that modern society is lost in the middle of the night without any directions to the place where we came from. Night scrapps all the shells and ripping off masks that accrue to our faces makes us look more real . "We are what we pretend to be, so we must be careful about what we pretend to be." Album has been self recorded in a portable home studios in Japan on the suburbs of Tokyo and on beautiful island of Zanzibar polished by the ocean breeze and heavy sunlight of Tanzania. Mastering is done by Thomas Meidell in Metropolis Studios in Oslo, Norway. Cover is done by the japaneese painter Youji Otsuki. This album unites many nations and makes the borders vanish facing the power of music.